03/22/17, 06:04 AM | Solar & Wind | UniRac Inc.
"We seek to provide the most innovative industry-leading solutions to our customers. Unirac now has one of the longest warranties for a racking manufacture in the solar industry," said December Cowen, Unirac Director of Product Management. "Unirac is excited to offer this to the resellers, installers & consumers of our products. Our goal is to instill the highest level of consumer confidence." 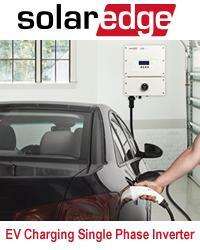 The new IEC 61724-1 standard for PV system performance monitoring is released. Do you comply? The IEC 61724-1 standard for PV system performance monitoring has been revised in 2017. The comprehensive standard introduces accuracy classes A, B and C for monitoring systems. SR30 pyranometer by Hukseflux , featuring new RVH technology, is the first solar radiation sensor meeting Class A requirements. Tracking is still relatively young -- the majority of deployments have really been in just the past few years -- but its growing up fast. The energy storage industry is evolving: ees Europe, the continent's largest exhibition for batteries and energy storage systems, is setting a new exhibitor record, an achievement which is also being felt at the accompanying ees Europe Conference. Space-based solar power (SBSP) --- in which satellites in Earth orbit capture the Suns radiation, convert it to electricity and then transmit it back to Earth in the form of either microwaves or lasers --- would arguably do more to positively impact the lives of everyday Americans and fellow citizens of the world than almost anything the new President could champion. With immediate effect the SolarMax Group is offering its 6 to 32 kilowatt three-phase string inverters with free additional features.